Five-year data from the Asthma Intervention Research 2 clinical trial presented today demonstrated that the Boston Scientific Corporation Alair Bronchial Thermoplasty System continues to show therapy benefits in adult patients with severe uncontrolled asthma. There is still no cure for asthma, so for 22 million people in the U.S., this chronic disease continues to be a daily burden no matter where they live. But it's not just air pollution they should be worried about. Factors such as pollen, secondhand smoke – even high rates of poverty, a large uninsured population or a high number of ER visits – can be critical signs that certain cities and states are worse for families with asthma. It is especially true for people with severe asthma. Nearly 24 million people in this country suffer from asthma. 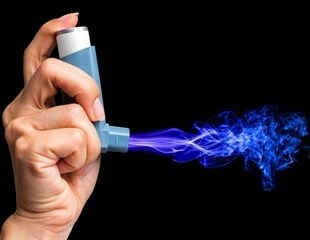 For most of them, avoiding allergens and taking medications help keep their asthma under control. But for a small group with severe persistent asthma, frequent hospital visits tend to be the norm and taking medications and lifestyle changes don't do the trick. Northwestern Memorial Hospital is now using a new procedure called bronchial thermoplasty (BT), the first non-drug therapy approved by the Federal Drug Administration, for patients with severe asthma. The U.S. Food and Drug Administration has granted Boston Scientific Corporation regulatory approval for its S-ICD System, the world's first and only commercially available subcutaneous implantable defibrillator (S-ICD) for the treatment of patients at risk for sudden cardiac arrest (SCA). Doctors at Orlando Regional Medical Center (ORMC) are delivering heat directly to the source to treat patients with severe asthma - a respiratory disease that causes the airways in the lungs to narrow, making it difficult to breathe. Hannah Andrews, 23, who has suffered from severe asthma since she was a child, is breathing easier now thanks to a new procedure offered at Vanderbilt known as bronchial thermoplasty. Boston Scientific Corporation welcomes a milestone in private insurance reimbursement coverage for bronchial thermoplasty (BT) performed using the Alair Bronchial Thermoplasty System. Minnesota-based HealthPartners and Michigan-based Priority Health recently issued the first public postings of positive insurance coverage policies providing their respective memberships with reimbursement for this novel procedure to treat severe asthma. Boston Scientific Corporation announced that the Centers for Medicare and Medicaid Services (CMS), the agency that administers the Medicare program, has acknowledged the substantial clinical improvement associated with the use of the Alair Bronchial Thermoplasty System to perform bronchial thermoplasty for the management of severe asthma. Boston Scientific Corporation today announced long-term safety data from the Research in Severe Asthma (RISA) Trial, which demonstrated the maintenance of stable lung function and the absence of clinical complications over a five-year period in patients with severe refractory asthma treated with its Alair Bronchial Thermoplasty System. Boston Scientific Corporation today announced that its newly acquired subsidiary, Asthmatx, Inc., presented two-year results from the Asthma Intervention Research 2 (AIR2) Trial demonstrating the long-term safety and effectiveness of bronchial thermoplasty (BT) in adult patients with severe asthma. Boston Scientific Corporation today announced the completion of its acquisition of Asthmatx, Inc. of Sunnyvale, California. The transaction follows the definitive agreement announced on September 20. Under the terms of the agreement, Boston Scientific purchased all outstanding Asthmatx shares for a total of $193.5 million. Additional payments of up to $250 million are contingent upon achievement of specified revenue-based criteria through 2019. Asthmatx is now an indirect, wholly-owned subsidiary of Boston Scientific. Boston Scientific Corporation today announced the signing of a definitive merger agreement, under which Boston Scientific will acquire Asthmatx, Inc., a privately held company in Sunnyvale, California. Asthmatx designs, manufactures and markets a less-invasive, catheter-based bronchial thermoplasty procedure for the treatment of severe persistent asthma in the 6 to 8 million patients 18 years and older worldwide whose asthma is not well controlled with drugs (inhaled medications). From the many images sent home from foreign battlefields over the last several decades, Americans have viewed the plight of their country's combat-weary veterans as stark and often iconic scenes that seem somehow frozen in time. But recent research at Washington State University suggests that, for many U.S. veterans, combat is a defining experience that often sets the trajectory of the balance of their lives. Asthmatx Inc., today presented positive five-year data from the Asthma Intervention Research Trial, which evaluated the safety of bronchial thermoplasty with the Alair System. The data demonstrated the absence of clinical complications and the maintenance of stable lung function over a five year period post-BT in patients with moderate to severe asthma. Asthmatx, Inc. reported today that doctors at Virginia Hospital Center in Arlington, Va., recently treated the first U.S. patient with bronchial thermoplasty (BT) delivered by the Alair® System, the first device-based asthma treatment approved by the U.S. Food and Drug Administration (FDA). Fenwal, Inc., a global medical technology company focused on improving blood collection, separation, safety and availability, announced today the U.S. Food and Drug Administration has granted Fenwal 510(k) clearance for its Amicus® separator with new wireless data-export capabilities. Mylan Inc. today announced that its subsidiary Mylan Pharmaceuticals Inc. received final approval from the U.S. Food and Drug Administration for its Abbreviated New Drug Application for Tamsulosin Hydrochloride Capsules USP, 0.4 mg, the generic version of Boehringer Ingelheim's benign prostatic hyperplasia treatment, Flomax. Temple University Hospital (TUH) and the Pennsylvania Association of Staff Nurses & Allied Professionals (PASNAP) have reached tentative 4-year contract agreements for the bargaining units that represent the Hospital's nurses and technical/professional employees, respectively. Asthmatx Inc., developer of bronchial thermoplasty with the Alair® System, announced today the publication of positive results from its pivotal study, the Asthma Intervention Research 2 (AIR2) Trial, in the American Journal of Respiratory and Critical Care Medicine (AJRCCM).